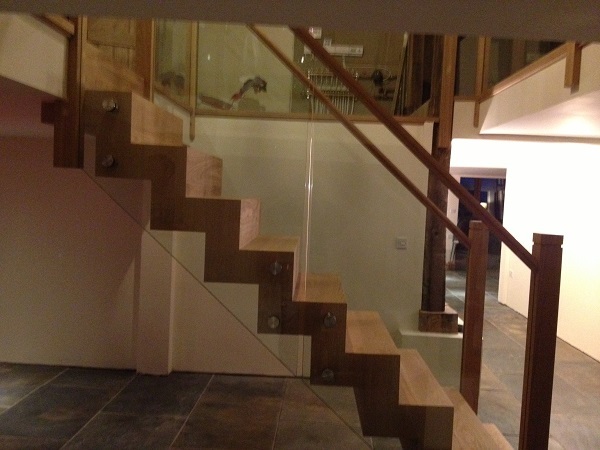 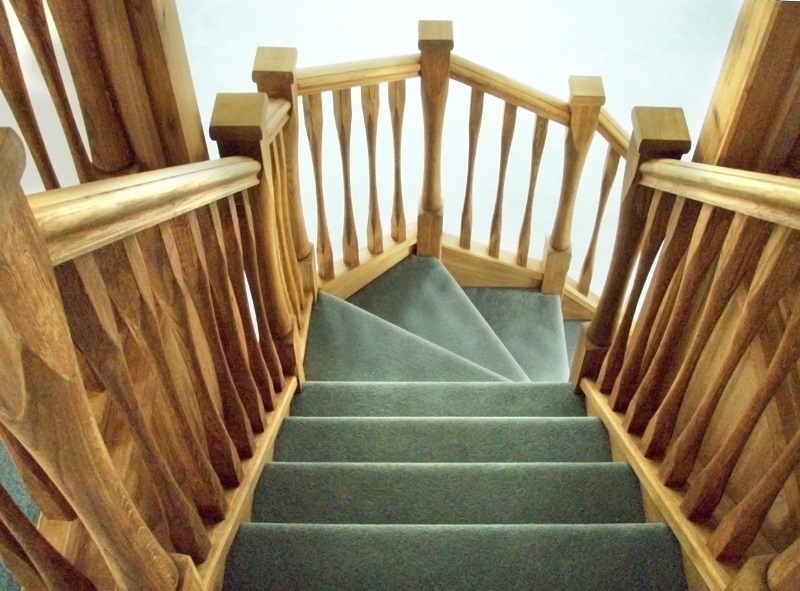 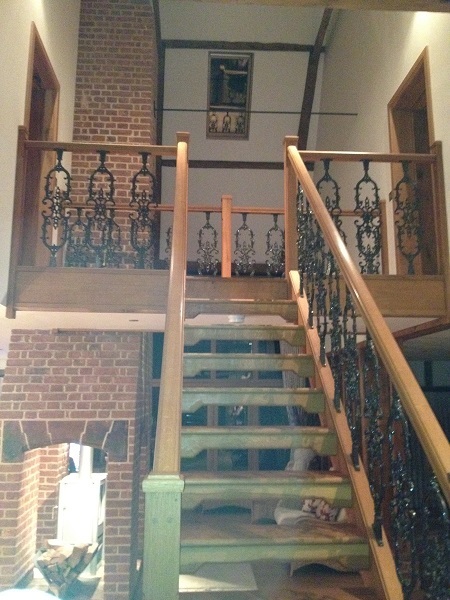 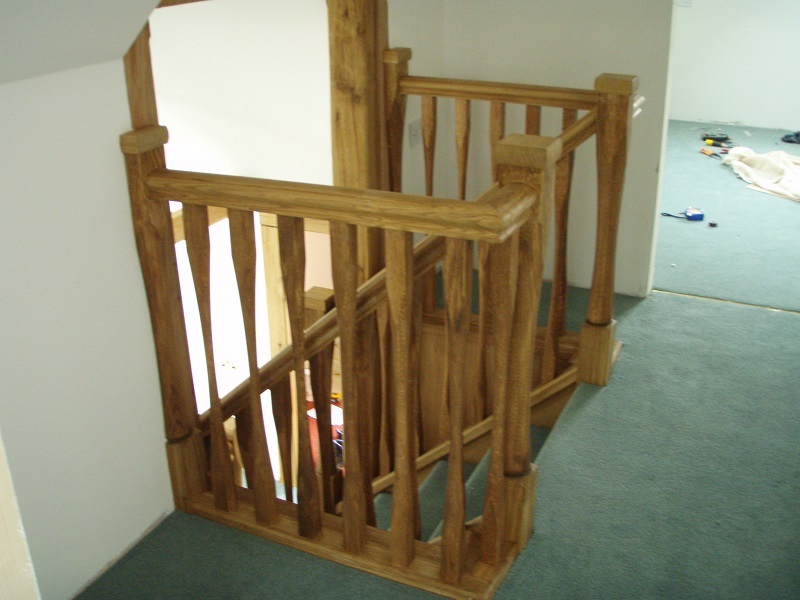 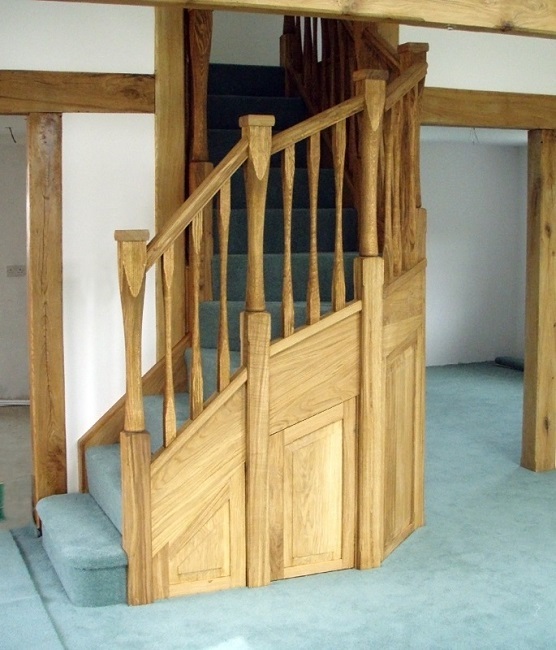 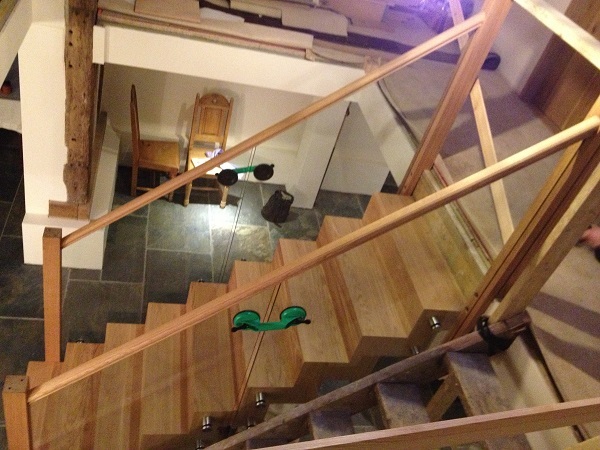 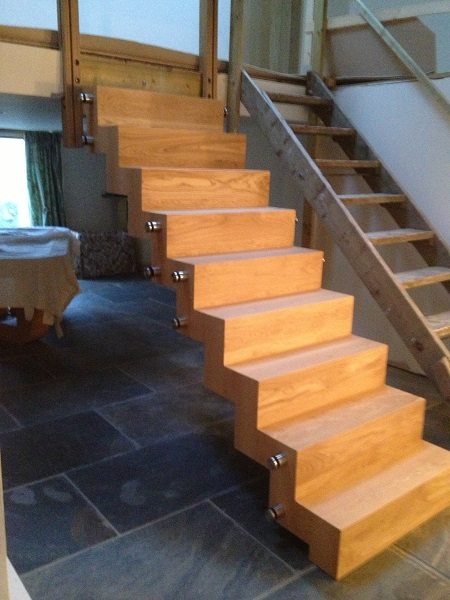 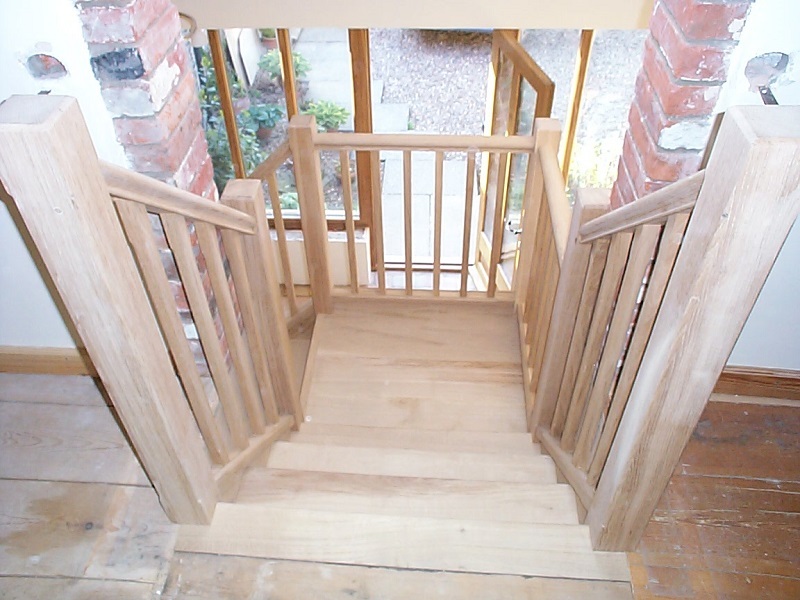 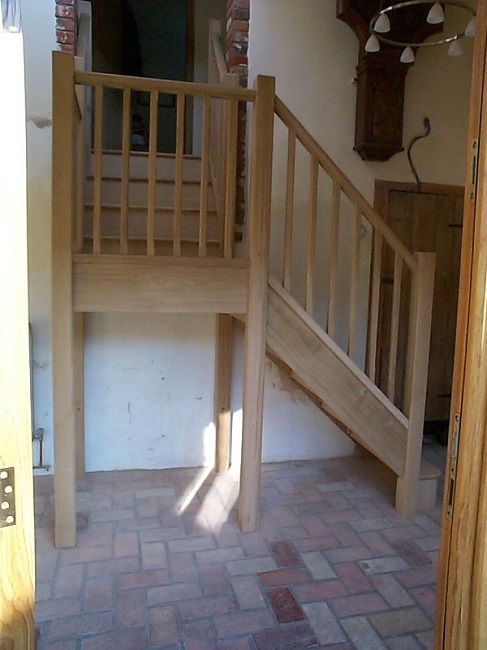 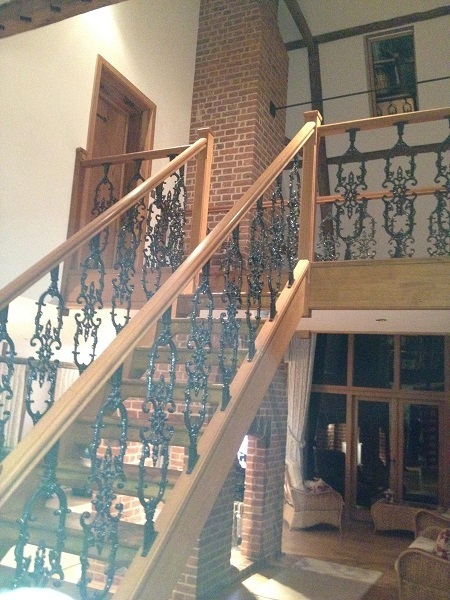 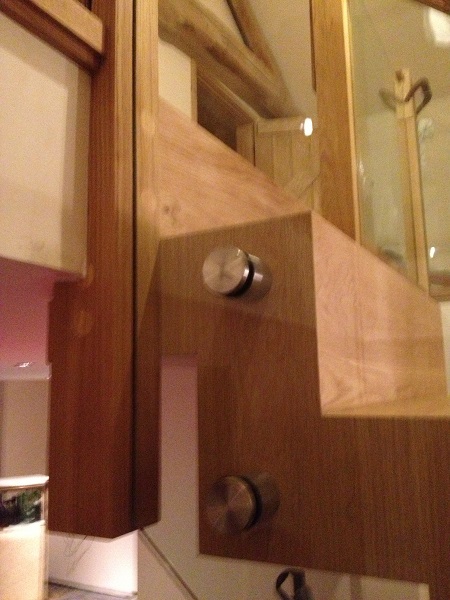 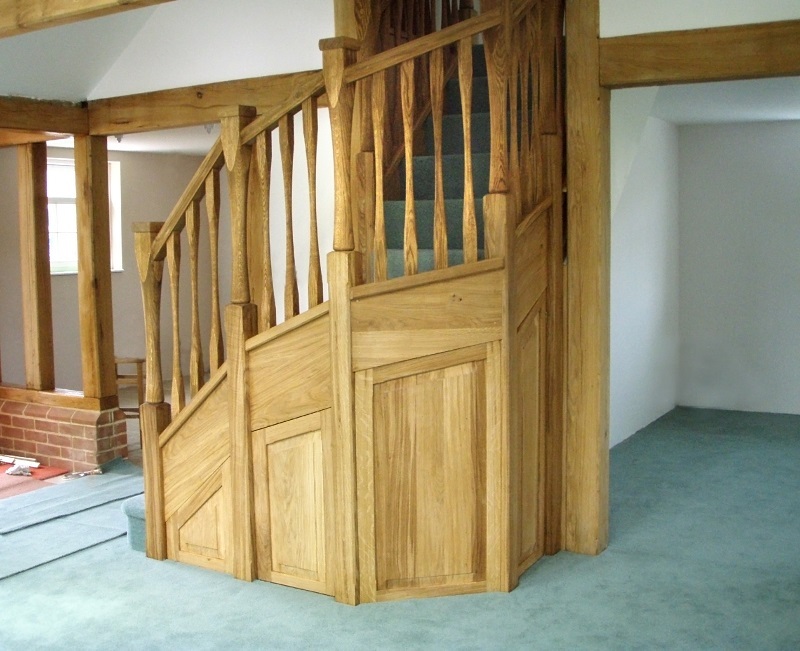 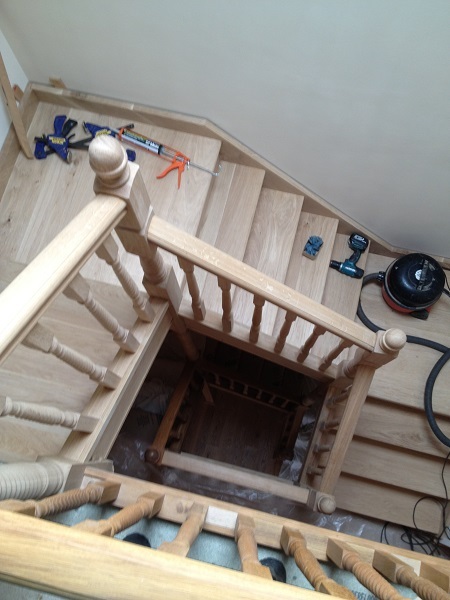 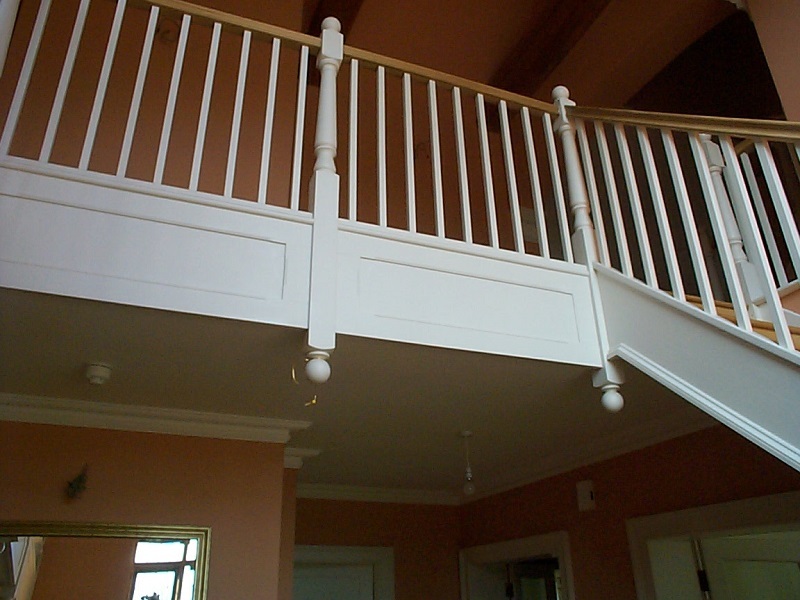 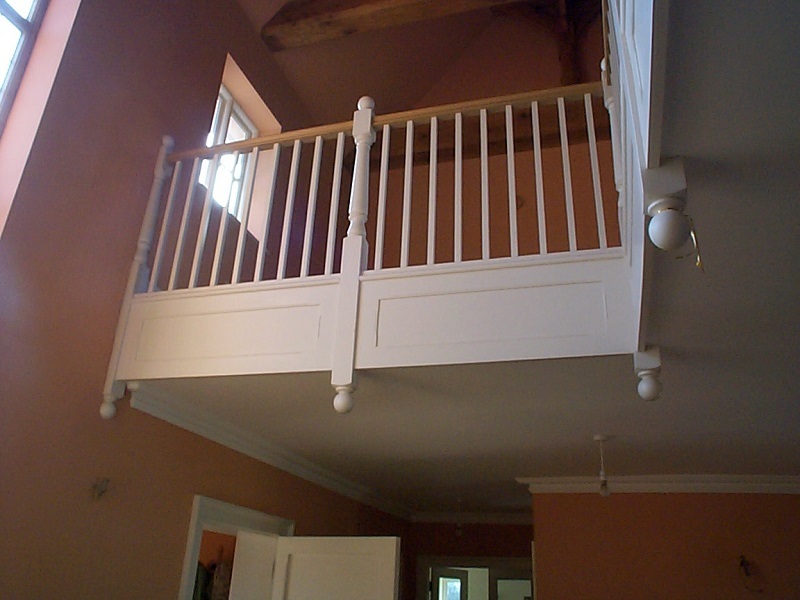 Timber staircase manufacture is a large part of our joinery business at Weybread Woodcraft. 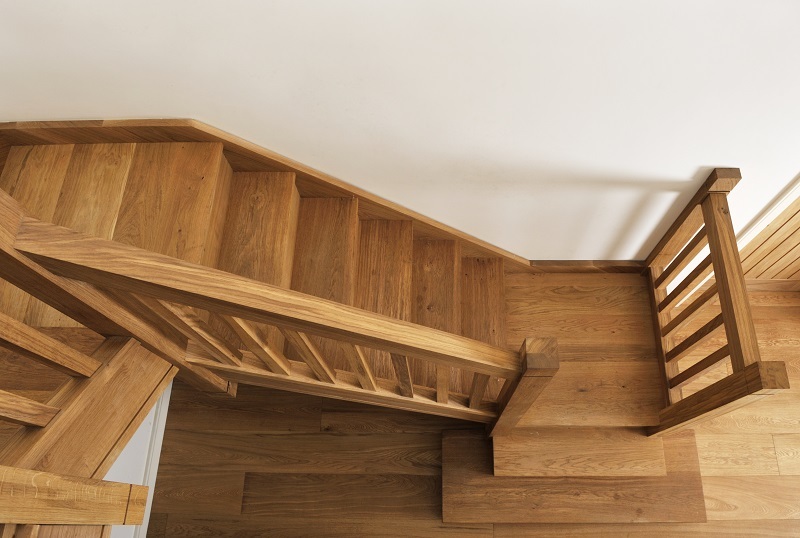 We provide a wide range of wooden stairs from softwood to hardwood, and offer an on-site computer staircase design service. 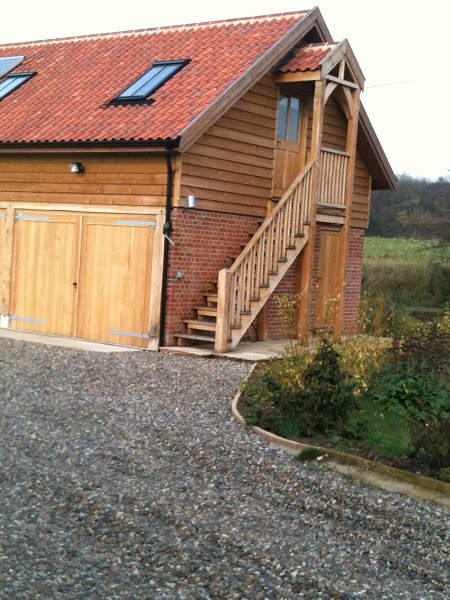 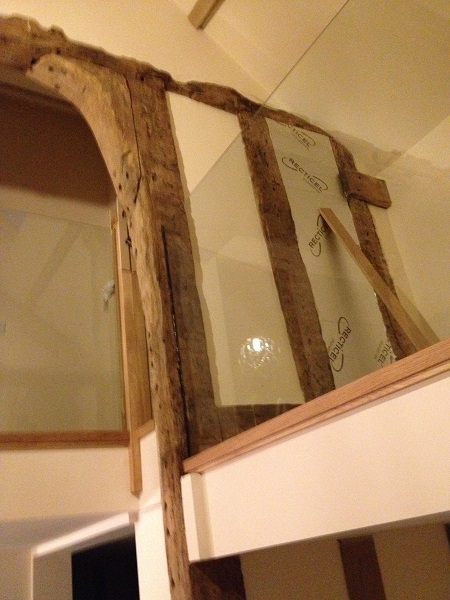 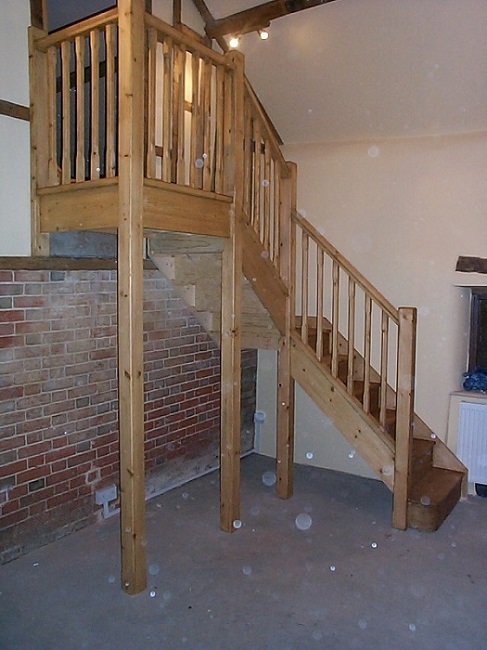 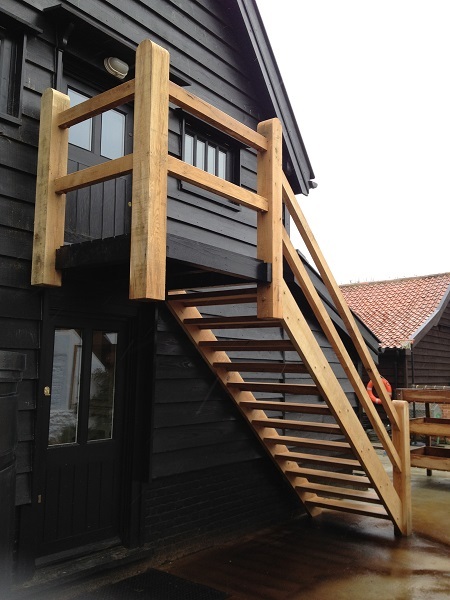 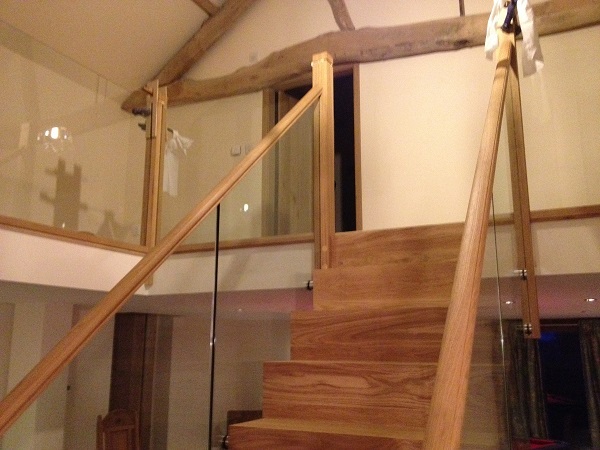 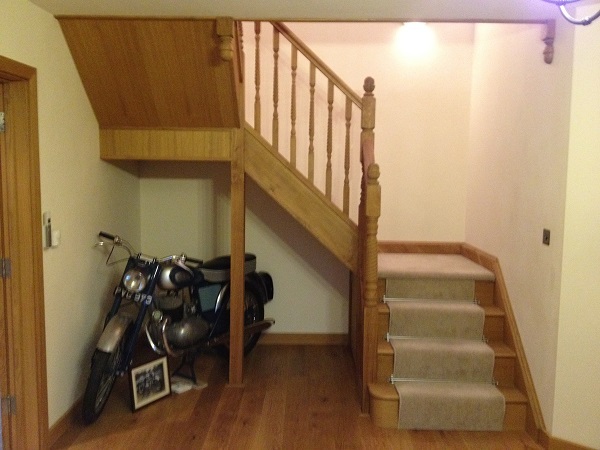 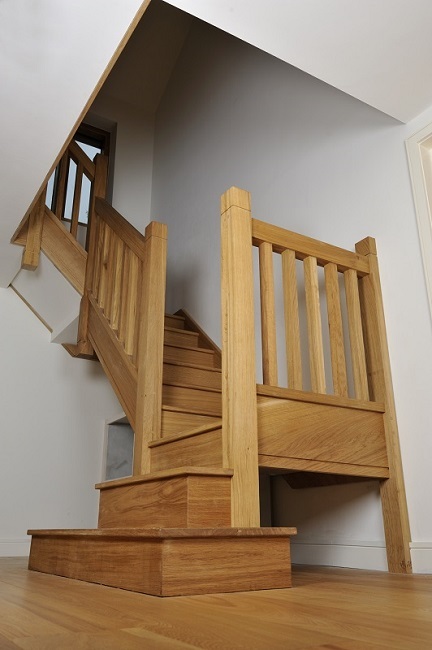 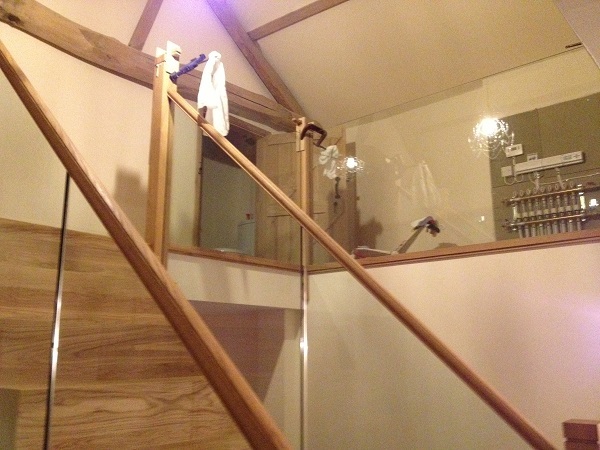 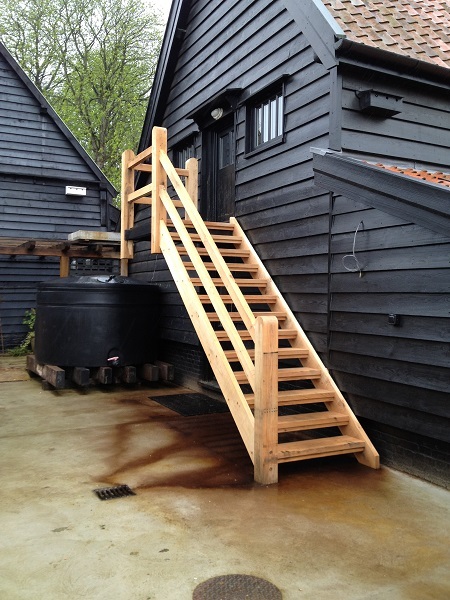 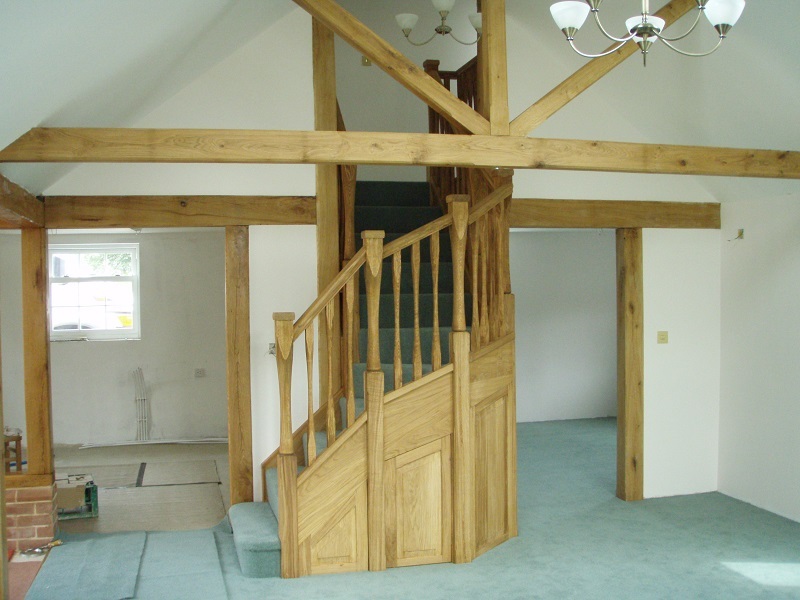 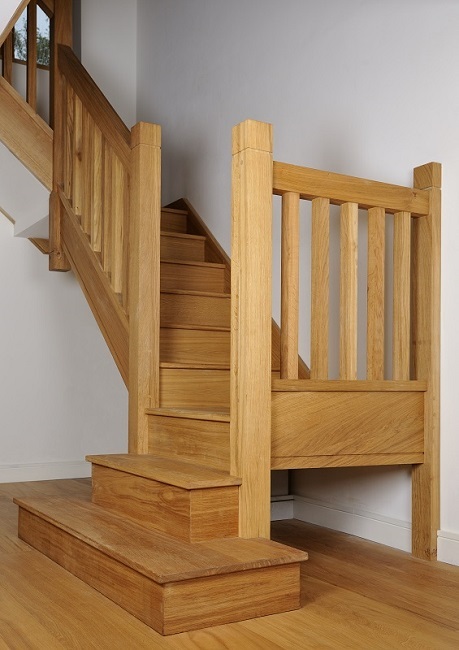 Weybread Woodcraft's high quality timber staircases are designed to meet the exact requirements for your home and building regulations, be it new build, refurbishment, barn cornversion, a house boat or any area that you may require a flight of stairs. 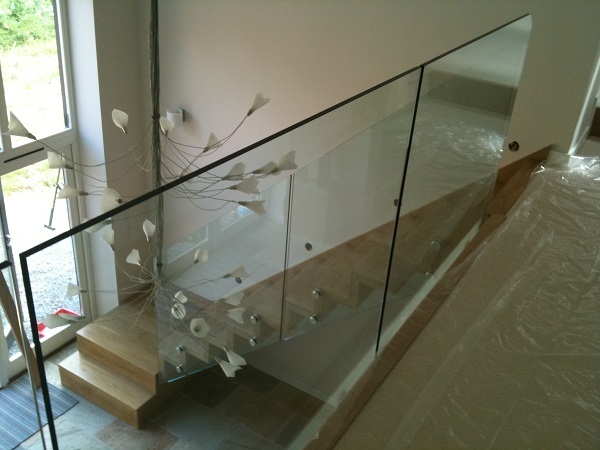 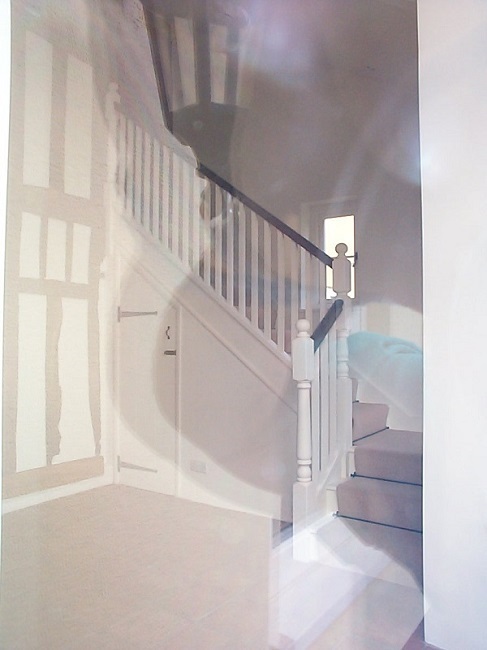 Our bespoke staircases are made from our own architectural drawing, with designs ranging from tradition to modern, incorperating splidles, glass or steel. 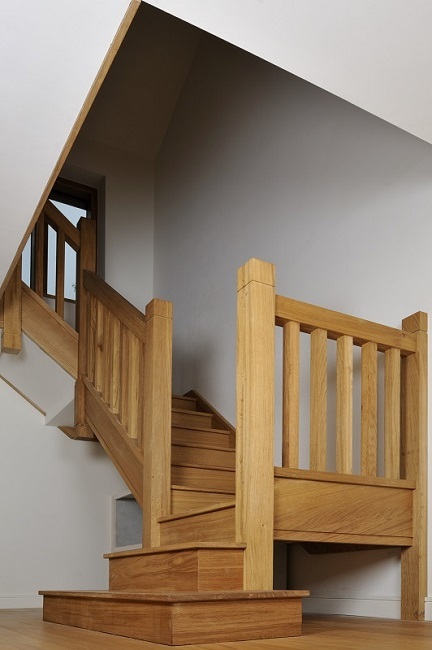 As well as supplying high quality timber staircases we also offer a wide range of handrails, spindles and balustrade along with all other stair components. 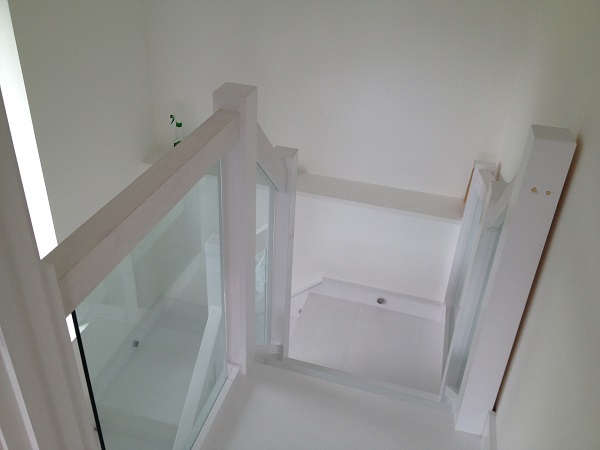 With heavy investment in the latest machinery and computer design technology, we pride ourselves in having the most up-to-date computer design facilities and computer linked CNC machines. 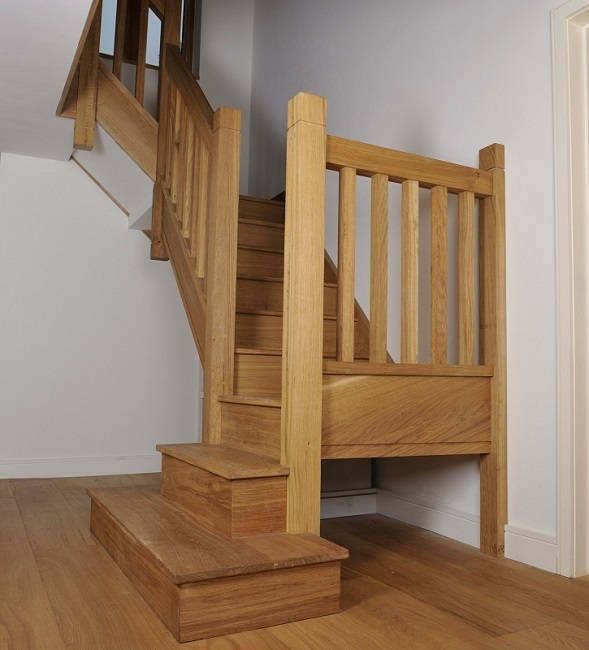 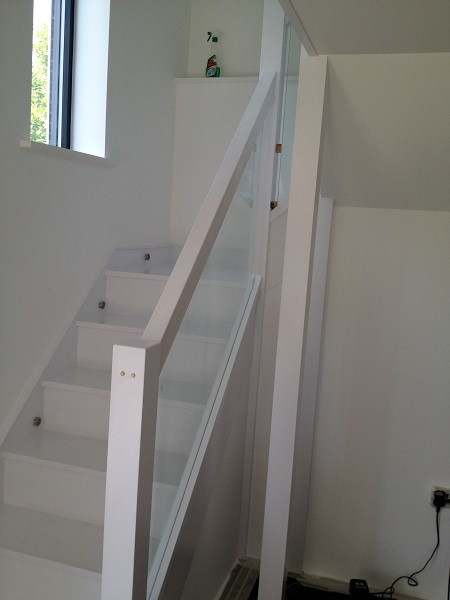 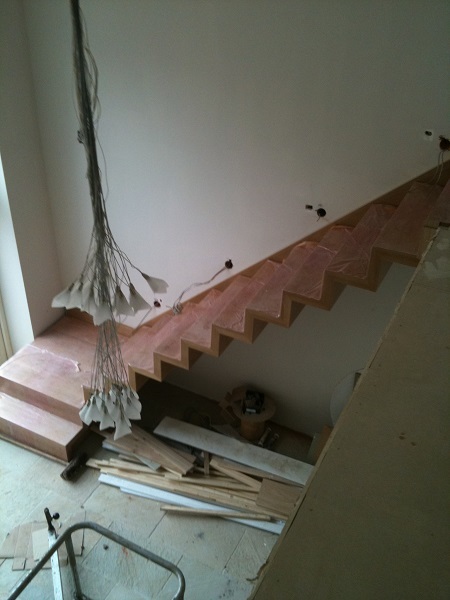 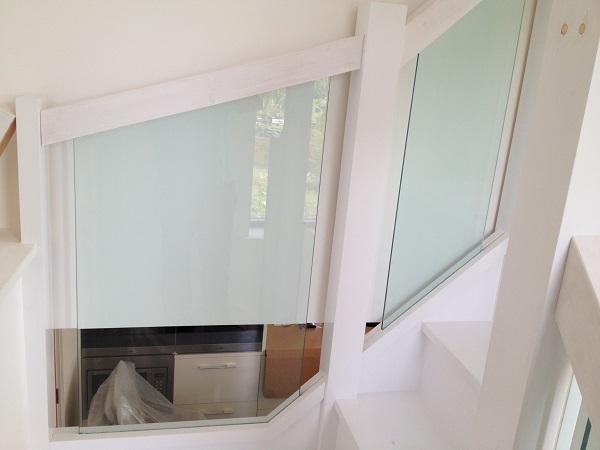 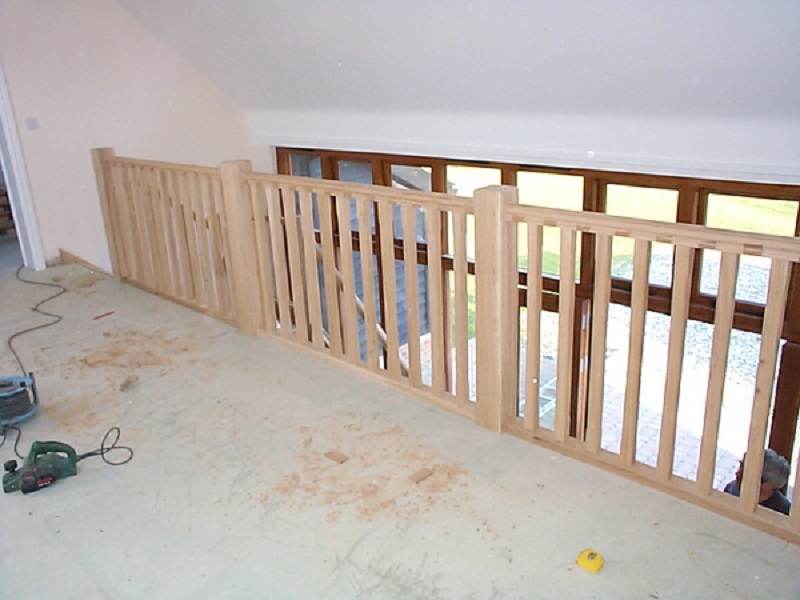 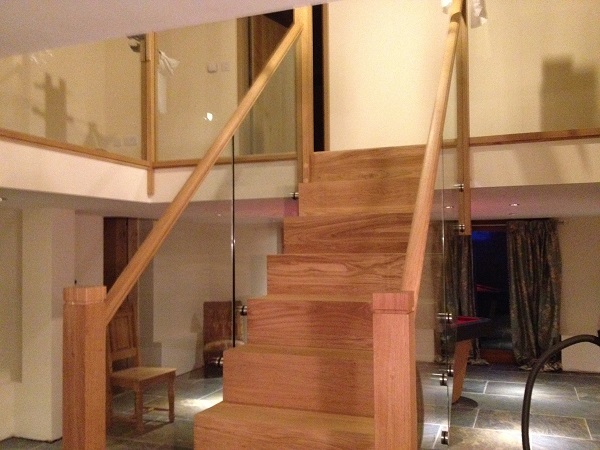 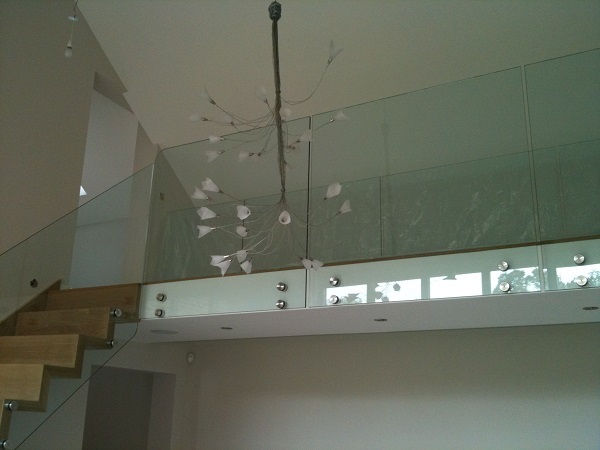 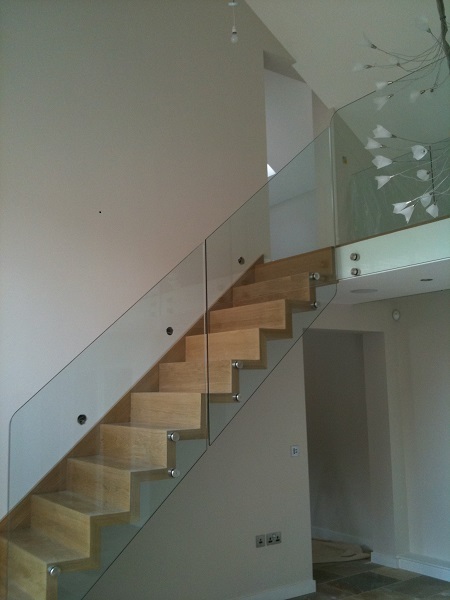 We design and manufacture bespoke wooden staircases efficiently and swiftly.